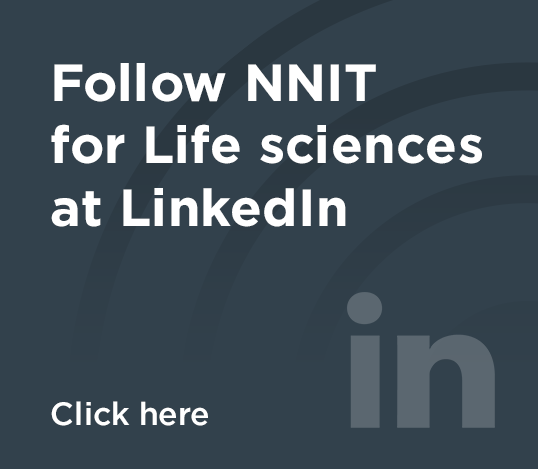 With a foundation set in the heart of the life sciences industry, we at NNIT are in a unique position to help our clients optimize the complex processes they face through the use of IT. We can deliver infrastructure and application outsourcing solutions that are not only GxP compliant but also free up resources, reduce costs and shorten time to market. Outsourcing as well as cloud services, which can integrate with your existing IT landscape, could therefore be a first step in your company’s digital transformation journey. If digital transformation is to succeed, one of the CIO's primary tasks must be to identify work processes that are not part of the company's core business. In today’s IT landscape, a large number of a life sciences company's day-to-day IT needs can actually be handled by outsourcing and cloud providers. By outsourcing these basic IT needs, companies can instead focus on their core business. But achieving this requires you to build a bridge between existing legacy systems and modern GxP compliant cloud solutions and new technological possibilities such as IoT, RPA, AI or SaaS – just to name a few. The ability to facilitate this shift – from legacy to outsourcing – while supporting the company’s Line of Business is one of the reasons why Everest Group, the internationally acknowledged consulting and research firm, has named NNIT a Major Contender in the digital service provider segment for life sciences companies. During the past two decades, NNIT has grown out of the pharmaceutical industry to establish itself as a highly regarded IT service provider with the scale and capabilities to support life sciences companies on a global basis.